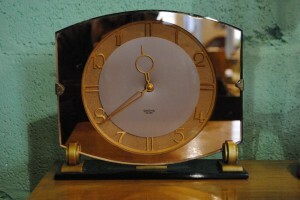 An original art deco wall clock. 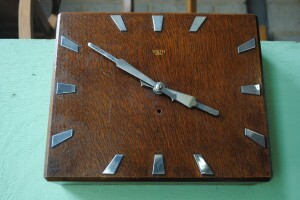 This beautiful Smiths Sectric clock in its tiger oak clock has a new period silk cord and fitted with a Bakelite plug. Keeps great time.For more details please call 01257 473688. 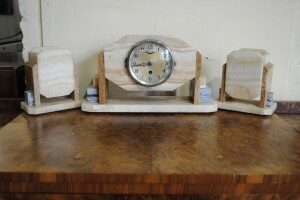 An original art deco marble clock garniture. For more details please call 01257 473688.